Rate this Article Browser based horse games are fun and addictive games that players can easily get into without the time taken to play a game that has a client download involved. In this article we’ll be discussing some of the really fun ones. It’s a very common misconception among players nowadays that if a game is browser based then it won’t be capable of providing the same amount of features and enjoyment as a downloadable client based game. As a matter of fact, there are lots of different horse games that are browser based and able to completely perform as well as some downloaded games. Every good browser based horse game has a solid variety of activities that you and your horse can do; a ton of customization features that allow you to give your horse a more appealing look and a few other additions that give the game its own uniqueness. We have selected a few of our favorite games for you to take a look at, and to play. Each of them can be played on your browser, and they are all free for you too. Howrse is a game that has a ton of different things going on for it. 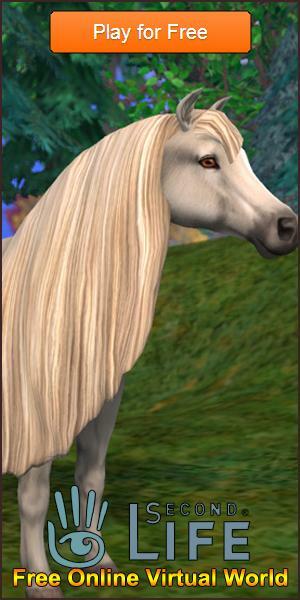 First off it provides players with the options of raising and breeding multiple different kinds of unique breeds of horses. Secondly, it’s a game that completely hands over control to the player. You’ll have to manage all your horses and make sure that your equestrian center is always in top notch condition. Lastly, Howrse gives players a multitude of different grooming and customization options to play with so that they can make their horse stand out from the crowd. This is another game that puts the control everything right into the players’ hand. Before you manage to make any significant progress you’ll have to build up an equestrian center of your own where all your horses will be looked after and cared for. You can enter your horse into a breeding program where the game does all the work for you. There are also some really fun and competitive racing events in Horzer that you can train your horse for and earn some extra currency off of. Horse Racing is a good old competitive racing game where your core objective is to train your horse to perfection and make sure that it’s able to perform when it counts. The game features an insane variety of different racing events you can enter your horse with and as you get into the big leagues, the prize pots get bigger as well. Many factors come into play during races such as the surface of the track and how long it is and all these things give this game a lot more depth. Horse Eden is perhaps one of the most competitive browse based Horse Games out there. You start out with nothing but two untrained horses and your objective is to work your way up to the very top by giving your horses the best possible training they can get. In Horse Eden you won’t just be training your horses and competing with them but instead you’ll also have to manage a bunch of other things on the side such as their stables and hiring staff to help with your management. All these games were fun, addictive and sometimes quite intense when it came down to the competitive events. The best part about them all is that they’re browser based so you’ll be able to jump right into the action. Give these games a try; we hope you enjoy them as much as we did.